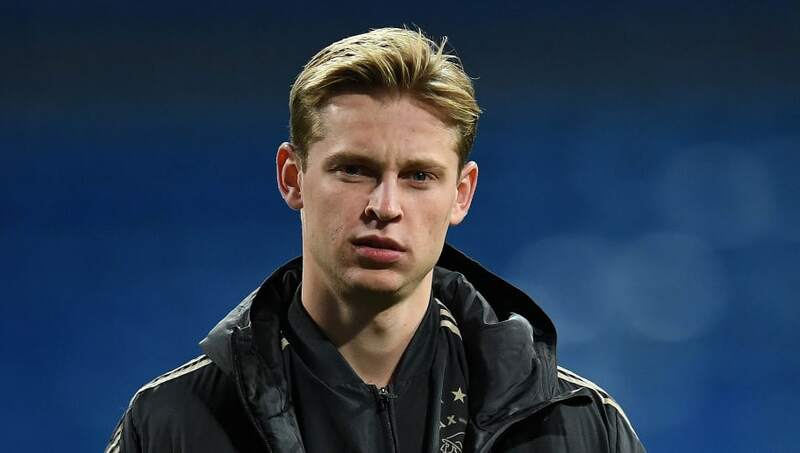 Frenkie de Jong has revealed that he was tempted to sign for Tottenham last summer, but felt he owed Ajax another season of service before leaving. The promising 21-year old - who signed for Barcelona in January for £65m - has impressed in games throughout the 2018/19 season for club and country, earning himself 24 appearances in the Eredivisie this season. In a recent interview however, the young midfielder revealed that he had considered playing under manager Mauricio Pochettino in the ​Premier League. ​Speaking to FourFourTwo on the consideration of joining ​Spurs, he said: “The moment wasn’t right. I wasn’t finished at Ajax, as I hadn’t yet played a full season in my own position. “I was also injured in that period, so I was thinking, ‘not yet’. I felt I should stay for another year at Ajax, or perhaps longer." Speaking about Pochettino and Tottenham's style of play, he went on to say: "I see Tottenham as a very stable club, and they are only getting better. With his contract at the ​Barcelona starting in the summer, de Jong also commented on his reasons for abandoning Premier League aspirations for a move to the Nou Camp, stating: “I’d always wanted to play for Barcelona. "The money they were prepared to pay Ajax showed me how serious they were. I felt I had to grab the opportunity, because maybe it wouldn’t come around again. The aspiring youngster should appear in Ajax's ​Champions League quarter-final fixture against ​Juventus, where he will be looking to make another impressive performance for his club.